Hong Kong Beats Ireland, Sep. 5: The first match of two-match series concluded with Hong Kong wins. The Match Toss winner is also the match winner. Hong Kong played their first batting and scored big score of 169 runs. The opponent, who had the most winning status among Hong Kong failed to chase. Finally, Hong Kong Beats Ireland. The Opening Batsman of Hong Kong Nizakat Khan and third down batsman Babar Hayat stands behind for today’s winning. On September 5, the team marked their victory and cleaned their dust from the predictors. Nizakat Khan scored 62 runs in 43 balls with the shoots of seven fours and two sixes. He closed his strike rate as 144.18. The Captain Babar Hayat stands with the Nizakat Khan and scored 49 runs. Yes, he missed his T20Is half century. He played his 31 balls with two fours and two sixes. Ehsan Khan is another player, who contributed to his team with his 29 runs in 22 balls. The team ends with the total score of 169 by giving 5 wickets. The second innings of the match begins as a poor introduction. 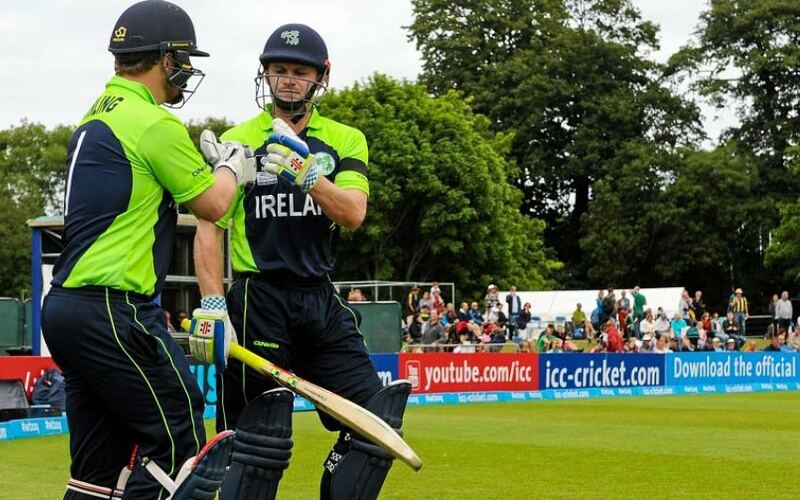 The opener and captain, Porterfield of Ireland didn’t cross 5 runs in 5 balls. His opening partner, Rankin scored 15 in 17 balls. Thompson is the highest run scorer of his team. He scored 44 runs in 32 balls with seven fours. The second player, KJ O’Brien scored 32 runs in 24 balls with a six and three fours. All others didn’t show their batting as well. The match ends with the score of 129 runs for all out. Aizaz Khan picked 3 wickets in 3 overs. he gave just 10 runs for his opponent. Tanwir Afzal, Nadeem Ahmed, and Tanveer Ahmed have marked their two wickets each. Ehsan Khan picked O’Brien’s wicket at the over of 12.2. It is one of the Important wickets for Hong Kong. J Mulder, AR McBrine, KJ O’Brien, and CA Young have just kept their wicket each. So, the Hong Kong led this 2-match series as 1-0. Hong Kong Beats Ireland.